Promising young GB Academy member Ben Swift stole the show at Revolution 18 at the Manchester Velodrome on Saturday night. Sheffield-born Swift, 20, took two victories on the night and just finished second behind Swiss ace Franco Marvulli in the opening Men?s Motor Paced Scratch. 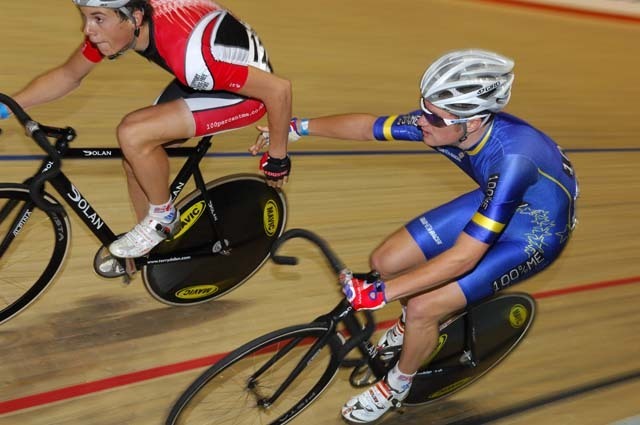 He won the 10km Scratch in a thrilling contest ahead of British Olympic gold medallist Bradley Wiggins and Marvulli. 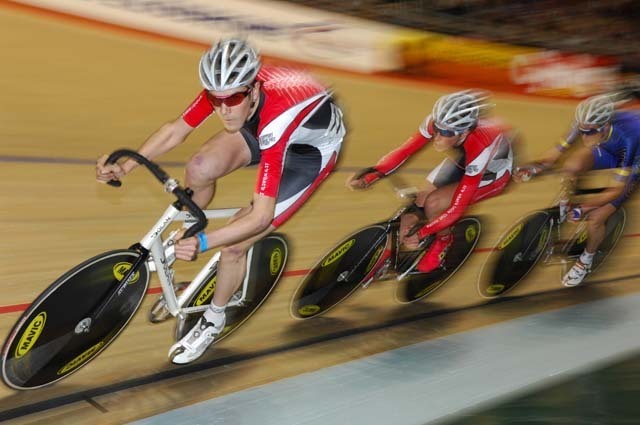 Then he and 100 Per Cent ME team-mate Jonathan Bellis scorched around four laps to win the 1km Madison Time Trial in a blistering 57.896secs, leaving four other teams of champions trailing in their wake. Understating his achievements on the night, Swift said: ?It went fairly well. I?ve just had a cold but good news is good news. I made myself a bit of money as well which is always nice.? Meanwhile, reigning Premier Calendar road champion Chris Newton (Recycling.co.uk), showed his adaptability by taking the 20km Points Race in a three-way battle with Ireland?s David O?Loughlin and Spanish ace Toni Tauler. The victor was always going to be one of these after they earned a 20-point bonus by lapping the field. The Englishman sealed the victory in the penultimate sprint, and O?Loughlin was reduced to third as, although he and Tauler finished level on 33 points each, the Spaniard came second in the last sprint and, thus, was given the better position.